Very large home & full studio apartment with separate entrance- stunning views from the double door entry of the great room. Your views look right at the intersecting 200 canals and a negative edge heated pool-south exposure your patio is full length of the home and has a summer kitchen and brick paver lanai. All 4 bedrooms have private baths, a large media room ready for movies, and a huge den/nursery off the master bedroom. There are sliding glass doors to the lanai and over-sized patio along the intersecting canals. The cooks kitchen has a sub zero refrigerator, stainless appliances & eat-in kitchen with lots of counter space. French doors off the kitchen to enjoy outdoors & gain access to the one bedroom apartment. This home has sliders that open across the great room to capture the water views. Parking not a problem, a 3 car garage & additional workshop with outdoor access. The separate 5th studio has a full kitchen, bath, stack washer/dryer, screened lanai overlooking the huge water views. The home has central utilities in & pd, there are miles of fresh water canals to enjoy canoe & kayaking, fishing & sunsets. Beautiful pool home nestled in a tranquil country setting on 2. 34 acres in the prestigious las lomas community! This lovely home features 3 bedrooms + a den, 2. 5 bathrooms + bonus room. There is a formal living room with high ceilings & crown molding & a formal dining room with an elegant tray ceiling for family meals. The den makes a great home office, craft or fitness room. The private master suite has french doors to access the lanai, his & her walk-in closets & an ensuite bathroom with his & her sinks, a tiled shower & a garden tub for relaxing. The family room features a cozy wood burning fireplace with built-in cabinetry & french doors to the screened lanai. The kitchen is the heart of the home with plenty of cabinet space, an island for prepping meals, new stainless-steel appliances & a large pantry. The amazing 20 x 20 bonus room is the perfect space for family movie night or a game room. Entertain guests on the large screened lanai & unwind in the heated saltwater pool & spa. 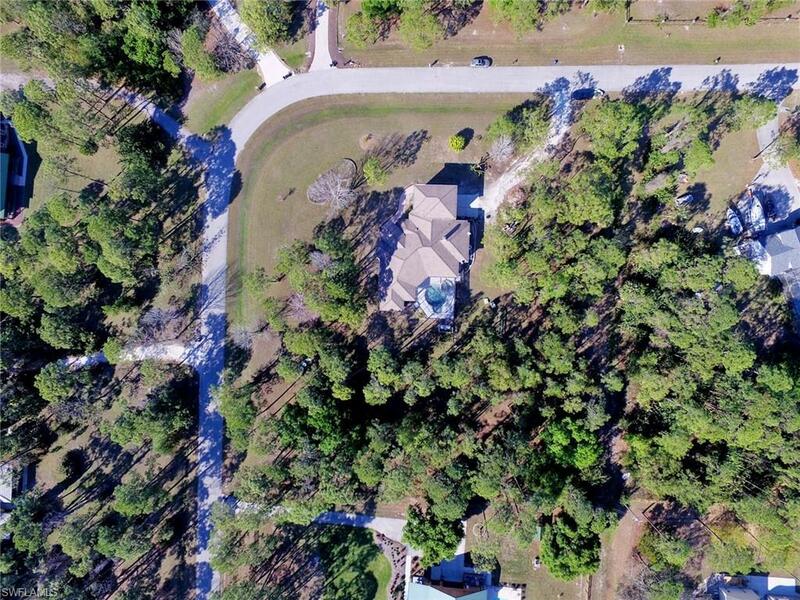 You have the best of both worlds with this expansive property situated in unincorporated lee county with low county taxes only & the convenience of supermarkets, restaurants & shopping close by. New neutral colors, freshly painted! Rare find, 2. 68 acres, currently the biggest property offered for sale in the northwoods of cape coral. Away from streets, a very idyllic secluded paradise. Privacy and the ultimate fun zone for entertaining, space for dogs or horses, an rv, or room for the family. This generously custom built home, 4,489 sq. /ft. Has 5 bedrooms (3 bedrooms with 2 large bonus rooms), an enormous pool area with a 20x40 beach entry pool with waterfall, 2 story screen, recently re-screened. The open ceiling in the living room features a walk around balcony and fireplace. The owner's suite has it's own private screened balcony with pool view. Extra's include wood floors in most of the main living areas, a private sauna, white aluminum 6' fencing for most of the property, automatic aluminum gate. Florida screened in, walk around porch, beautiful to sit and watch the wildlife. Barn building needs remodel, but has potential. Feel at home in this park like setting. 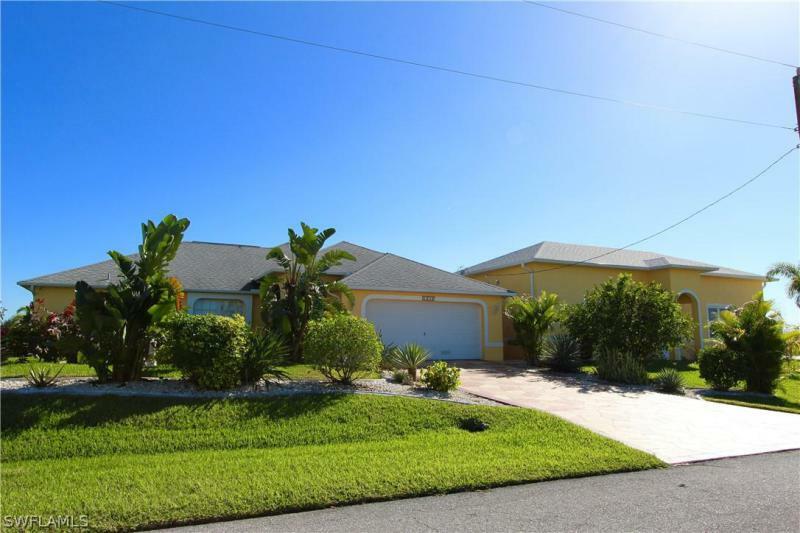 Enjoy the privacy and peacefulness country living, yet convenient to cape coral shopping, schools and restaurants. Whole house reverse osmosis system. Lower taxes possible with agriculture exemption. Southern country living with a northern feel! Two story colonial with 3764 sq ft of living area on 1. 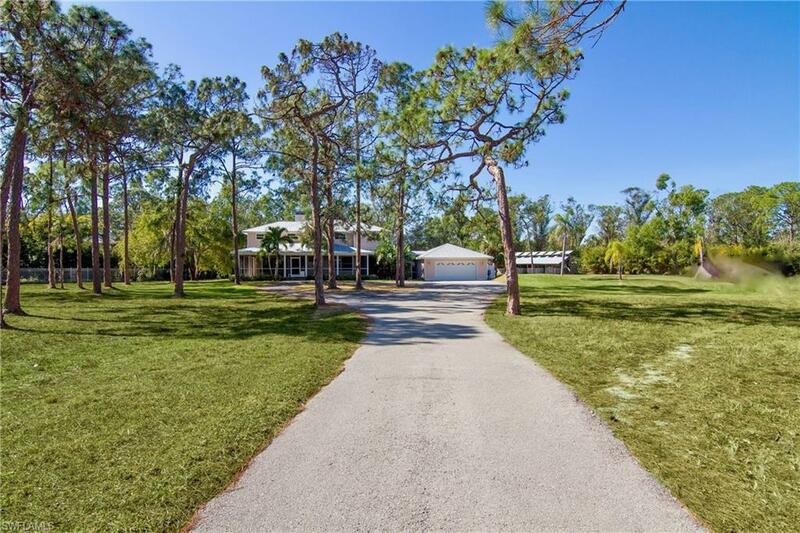 5 acres in the woods of north cape coral. 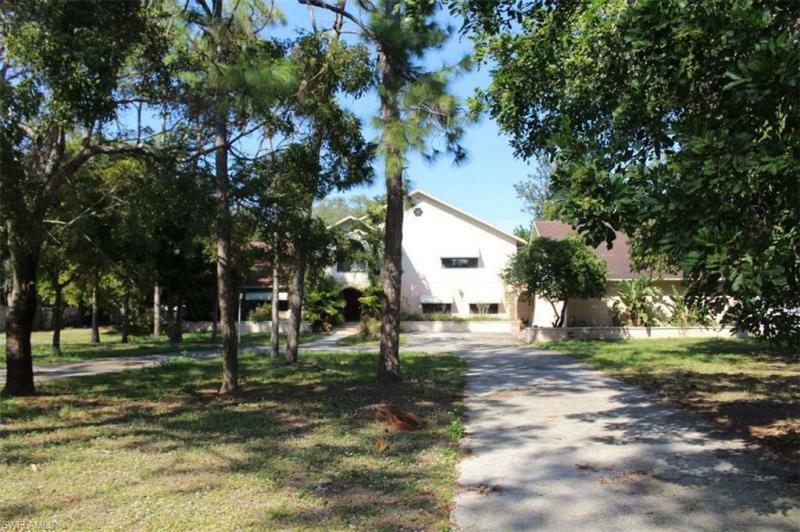 This is a highly sought after area in unincorporated lee county, an agriculturally zoned neighborhood, on a quiet, private, friendly cul-de-sac with no hoa and no city taxes, ordinances or assessments. This stately cedar siding, center-hall home has a two story foyer with hardwood floors on both levels and a first floor that has the perfect flow for casual or formal entertaining. The fenced in property has a circular driveway with plenty of parking and mature landscaping. The yard is partitioned into three large separately fenced areas and the back has a 50 ft pad for a boat or rv, includes a workshop with electric and access to water, plus a shed to store your lawn tractor or other items. Bring your dogs, horses or other animals where they can enjoy the open, cleared property and have plenty of room to run. Sit outside with your morning coffee or a nightcap and listen to the wildlife or enjoy the colors of a beautiful sunset. This is the perfect property if you have a lot of toys or if you need a lot of storage or if you have a rv! 2 buildings, 4 bedroom and a gorgeous pool area on a fresh water canal. The first building was built in 2006 and just got new tile flooring thru-out. It has 1718 sq ft. The second building has 1267 sq ft and was built in 2015. It has a bathroom with shower. You could convert this one into a 2nd home or mother-in-law quarter. It features impact windows. The property has a putting green and 2 concrete docks. The pool-deck, drive-way and garage floor were recently remodeled and the seawall was recently painted. Take your boat and discover several lakes. Take a look at this stunning property, you will not be disappointed!!!!!! Don't miss this custom estate home on 1. 67 acres which backs up to fresh water canal. This 4 bedroom, 4. 5 bath, 2 story home features over 5,000 square feet of living space with an open floor plan. Huge rooms sizes, oversized 2 car attached garage, large pool with screen enclosure, fenced in yard, storage shed and gated front entry. This home is ready for you to make it your own!!! Tons of potential. Being sold as is, where is, buyer is responsible for all inspections. All information and property details are deemed reliable but not guaranteed and should be independently verified if any person intends to engage in a transaction based upon it. All room dimensions are approximate & need to be verified by buyer. Come check out this custom-built, dual garage waterfront home located on cherokee lake. Over 2,200 sq ft of living area, 3 bedrooms, 3 baths, dining room and breakfast nook, living room, bonus room, soaring ceilings, double door entry and 7 garage spaces on a triple lot site, with city utilities in and assessments paid. Fresh interior paint, window treatments, tile, interior laundry room and a highly favorable floor plan make this property stand out from the rest. Spacious master suite with separate tub and double walk through shower, large walk-in closets, water closet and patio access. Bright open kitchen features stainless appliances, plenty of storage and lots of room for barstools. With 120 ft of sea wall and a dock you can fish for bass right from your backyard. Book your private showing for this rare gem that is sure to impress and you will have plenty of room for your toys!